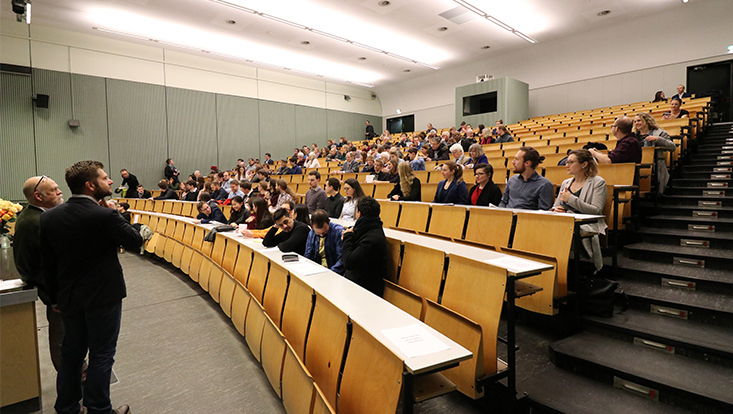 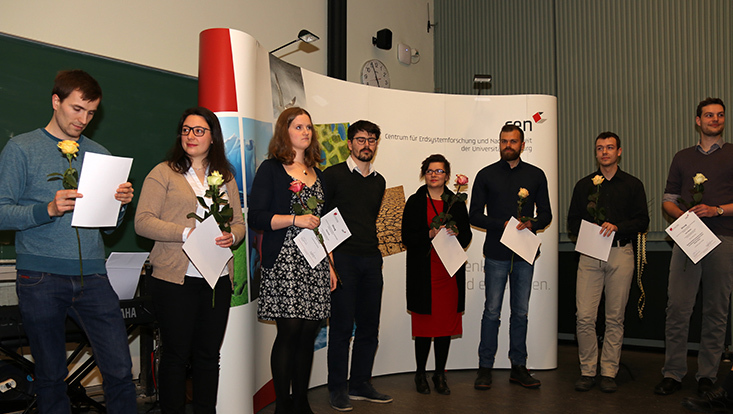 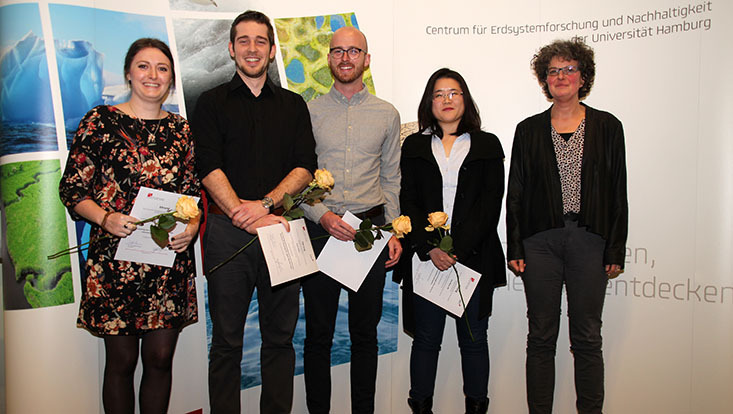 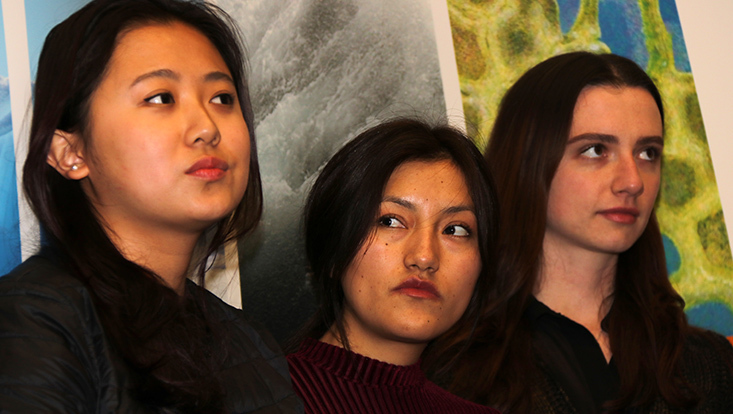 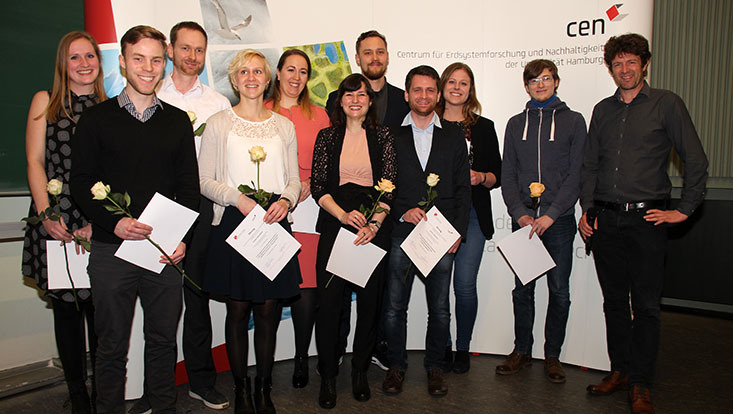 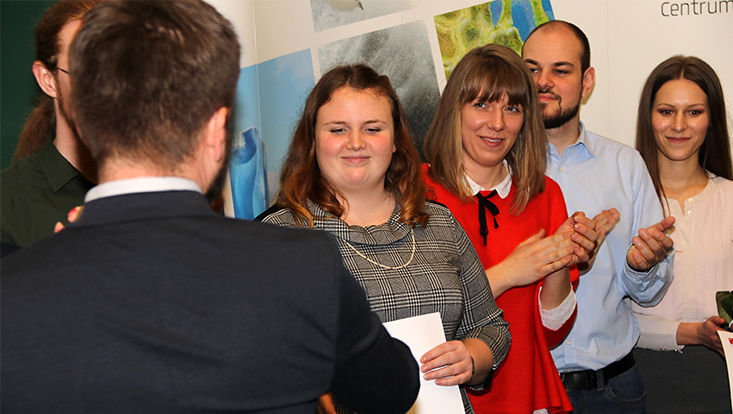 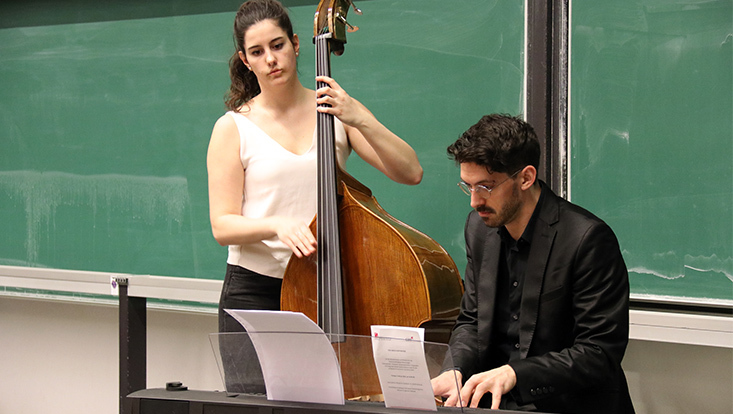 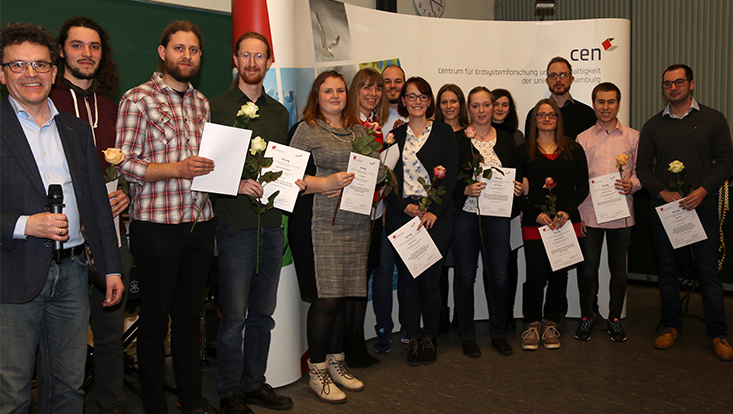 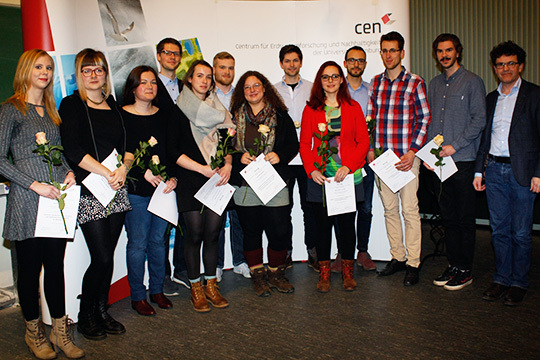 We host an annual graduation celebration to honor master’s students and doctoral candidates who recently completed degrees in key research areas of the CEN. 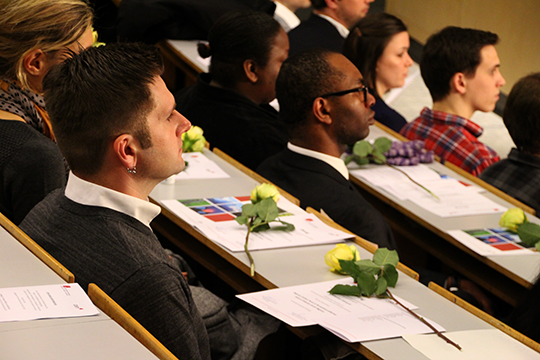 Every January, the year’s cohort of graduates and their families are cordially invited to join our festive ceremony. 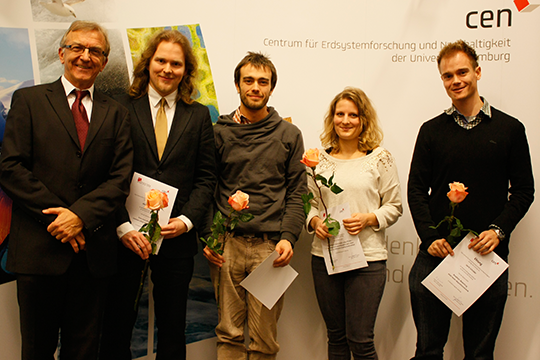 Graduates of the MSc Geophysics with Prof. Gajewski. 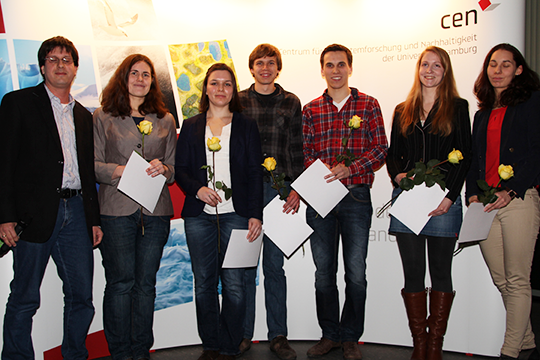 Graduates of the MSc Geosciences and geography with Prof. Schmiedl. 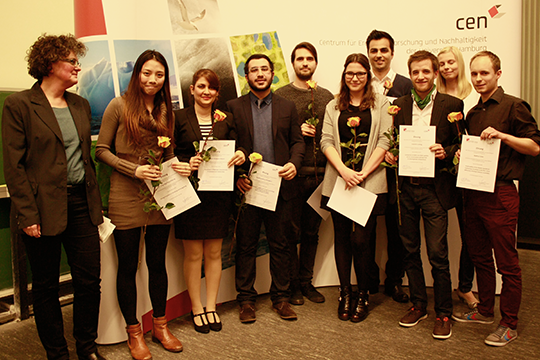 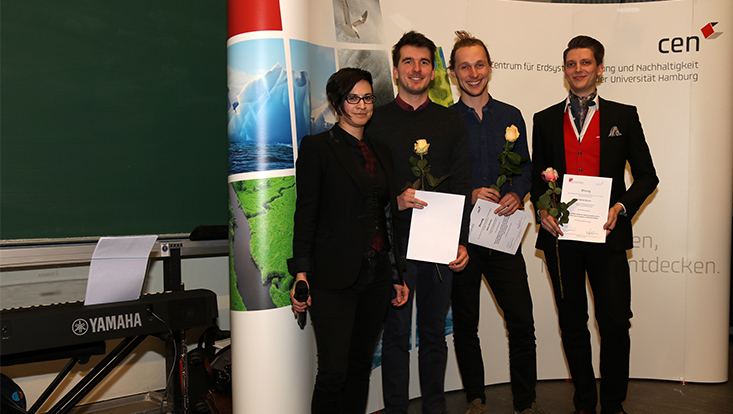 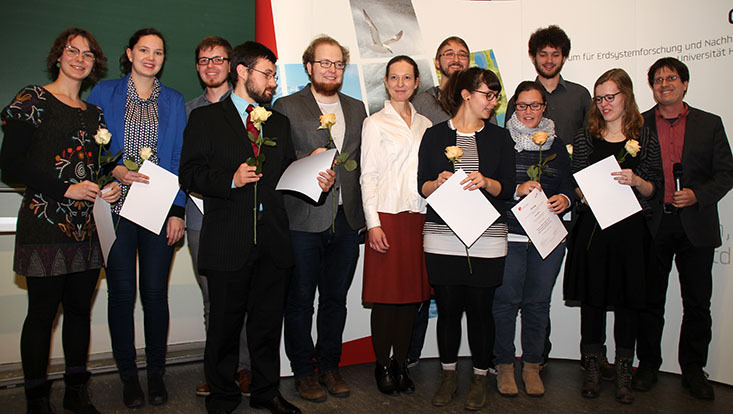 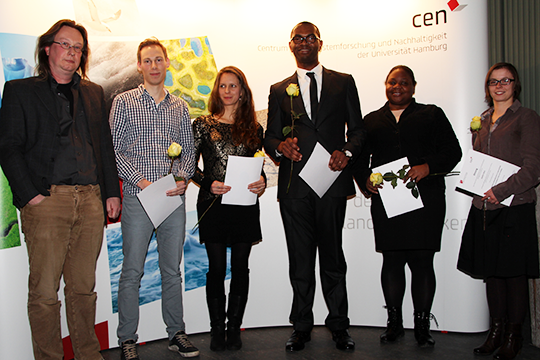 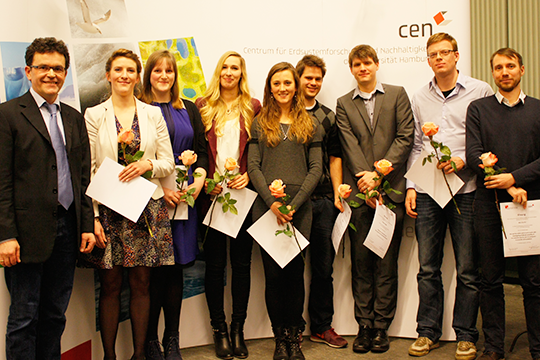 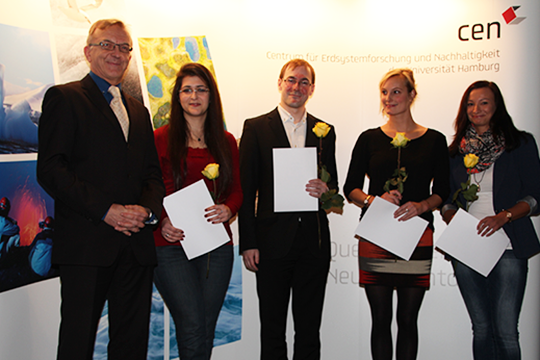 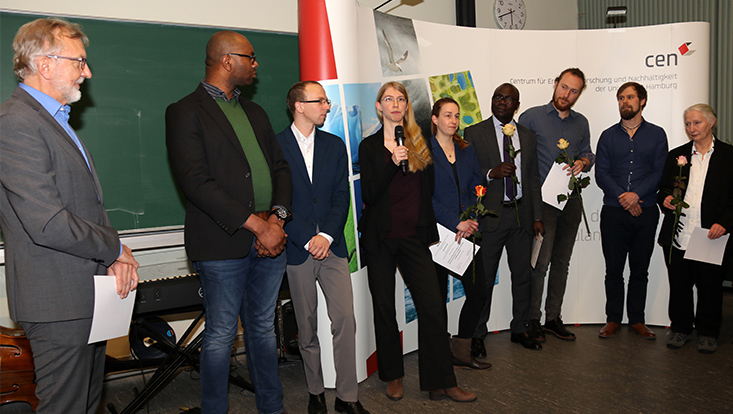 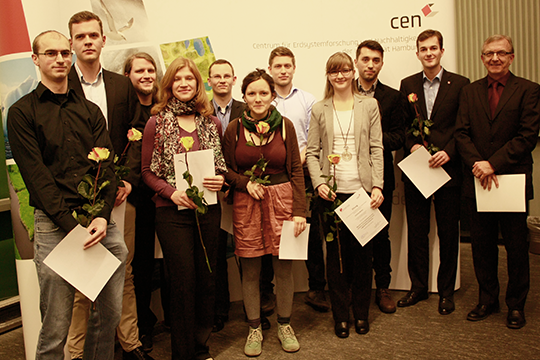 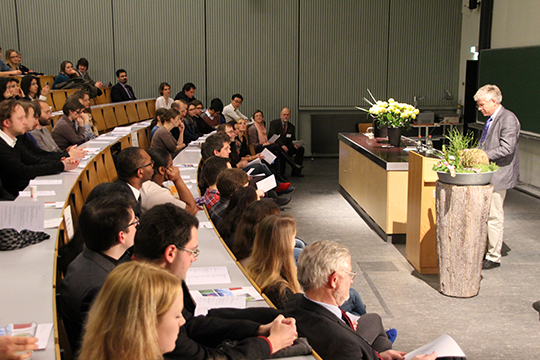 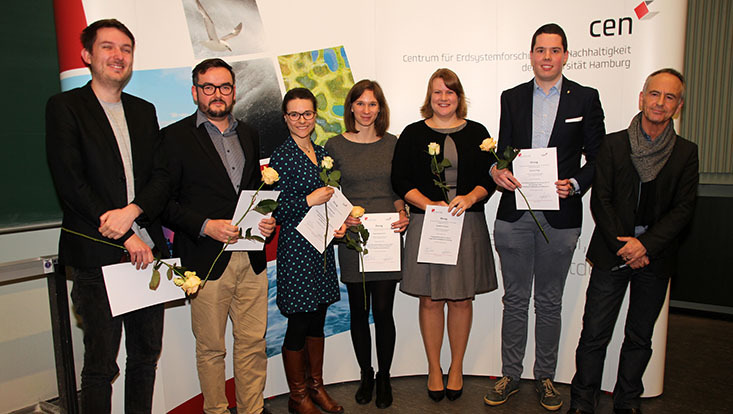 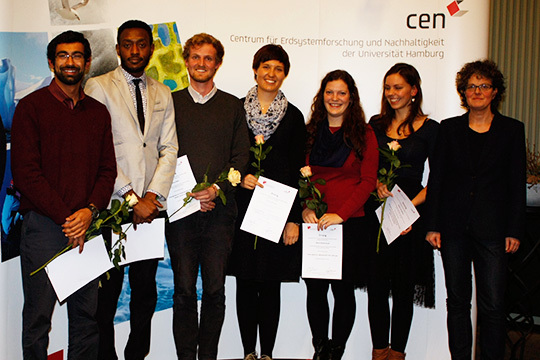 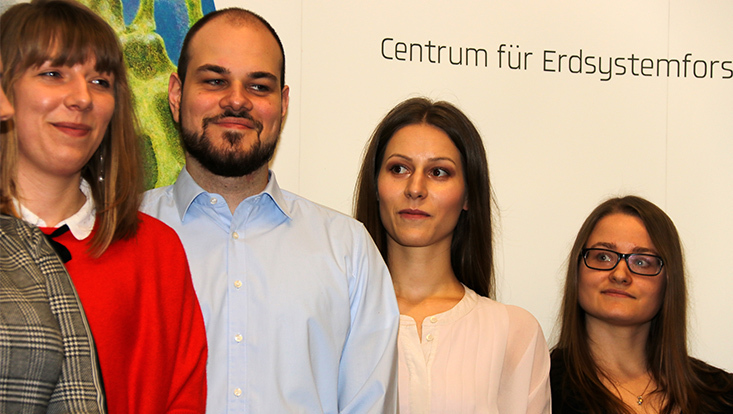 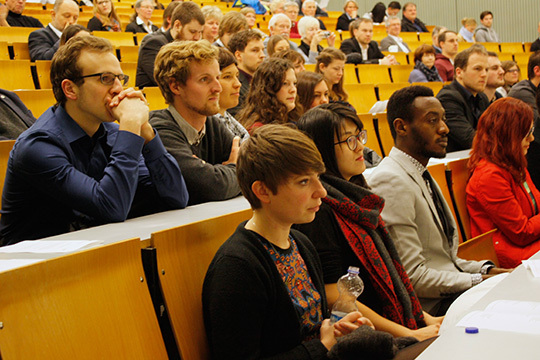 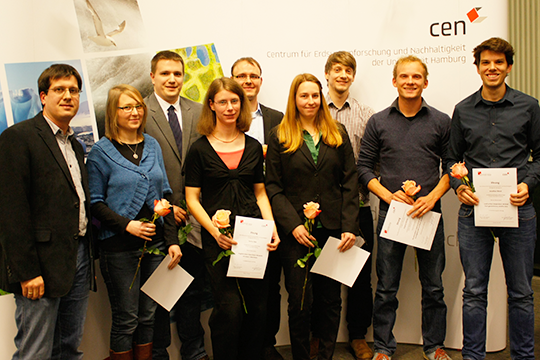 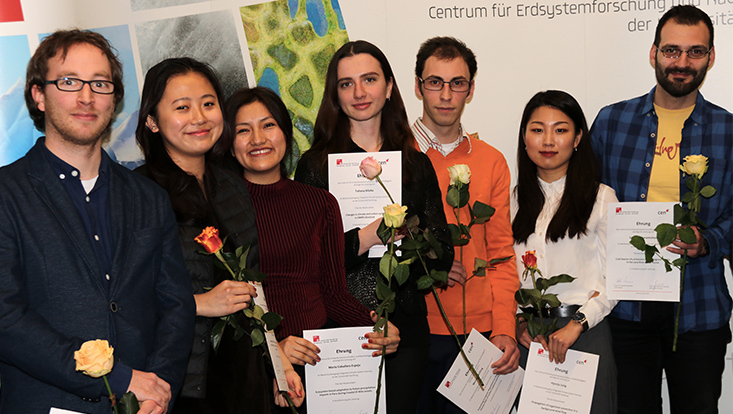 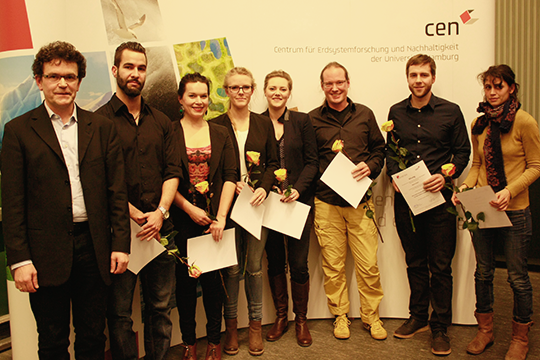 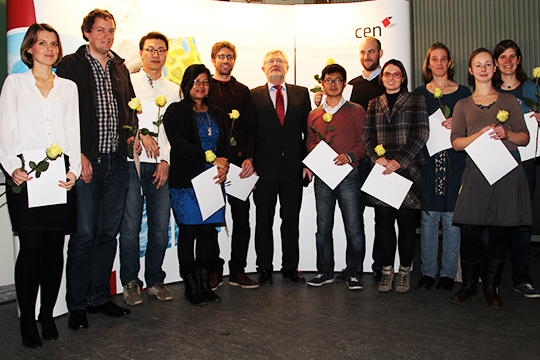 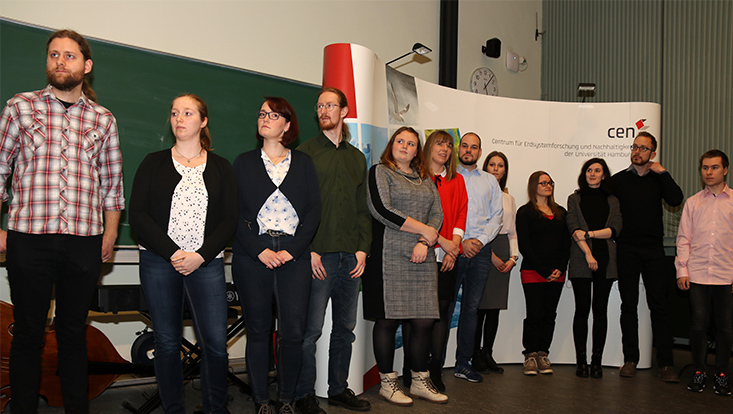 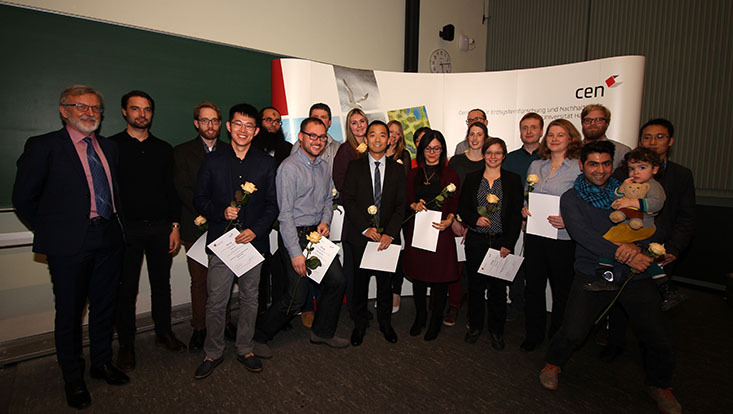 Graduates of the MSc Integrated Climate System Sciences with Prof. Eschenbach.. 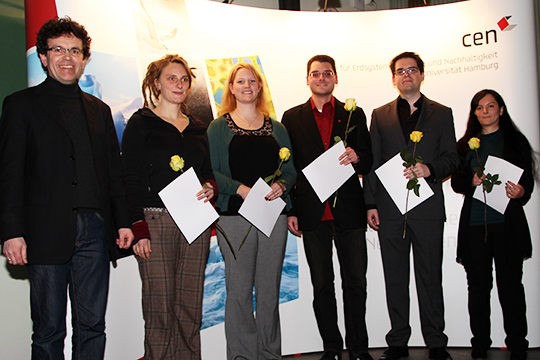 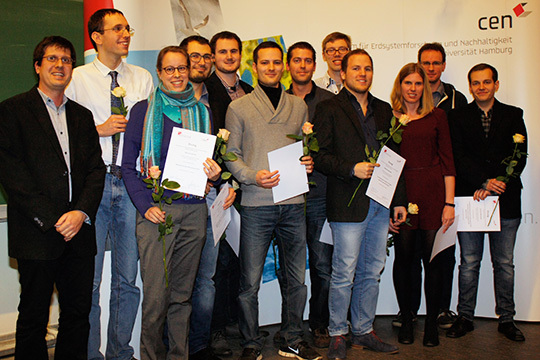 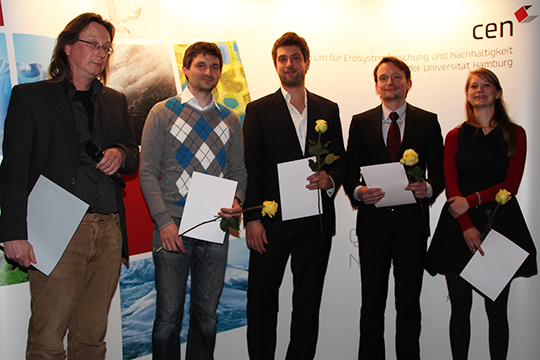 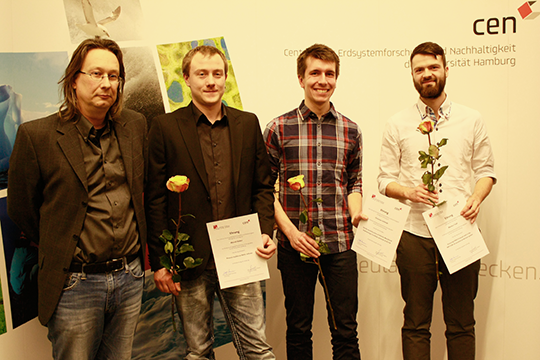 Graduates of the MSc Meteorology with Prof. Bühler. 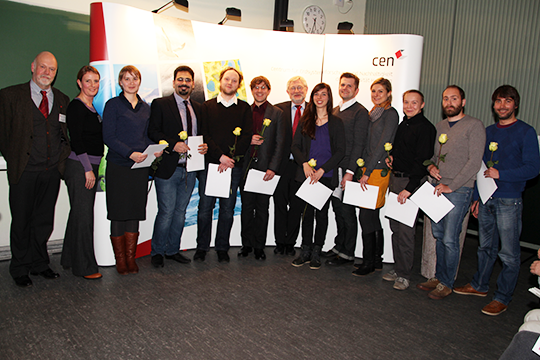 Graduates of the MSc Physical Oceanography with Prof. Eden. 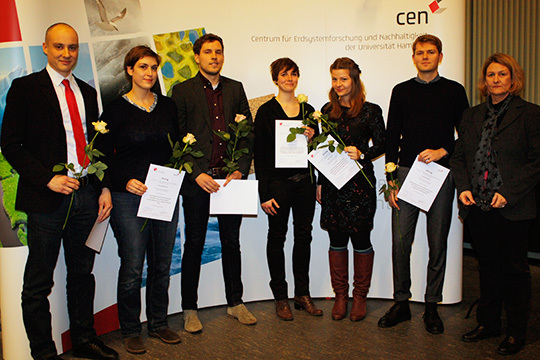 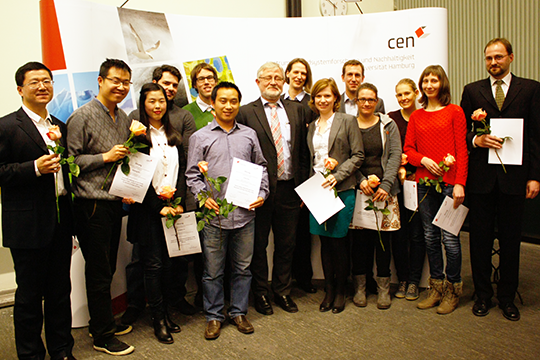 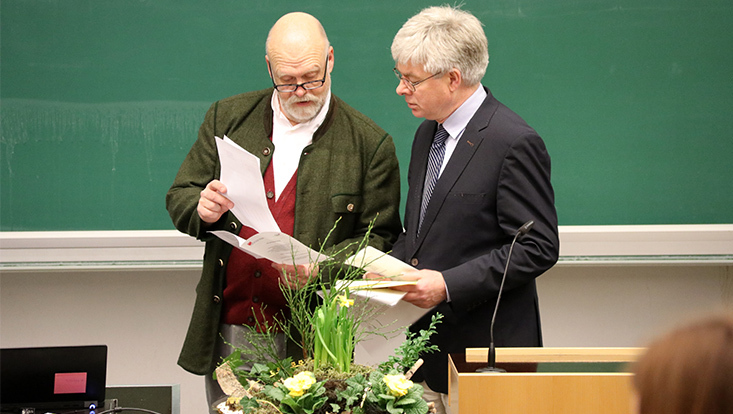 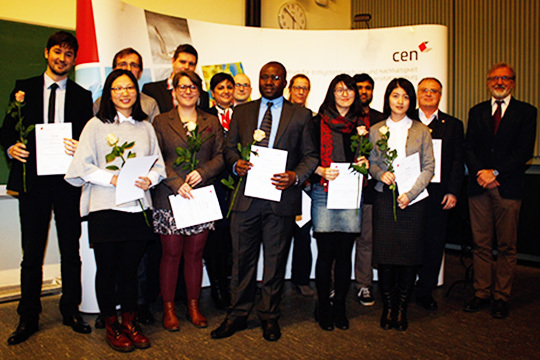 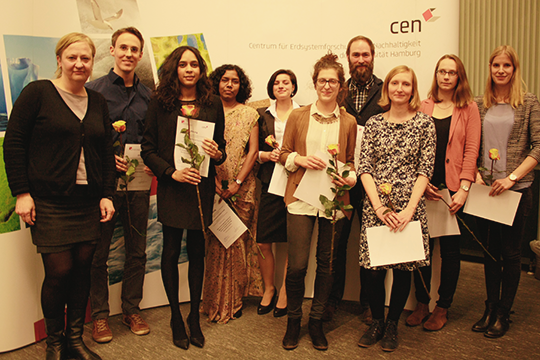 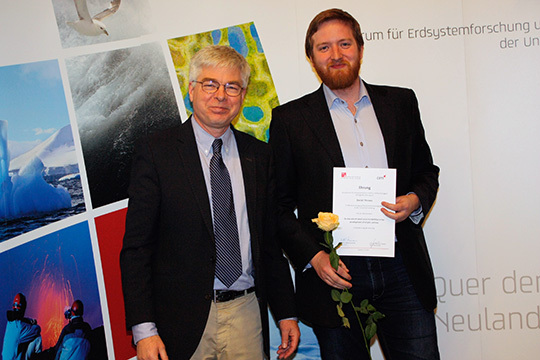 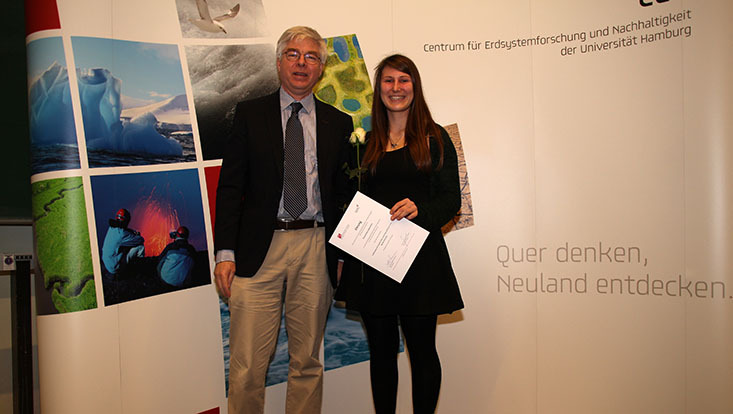 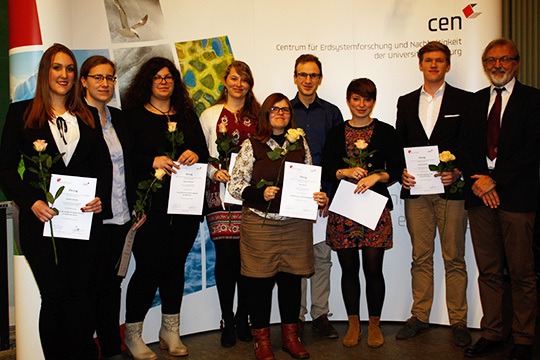 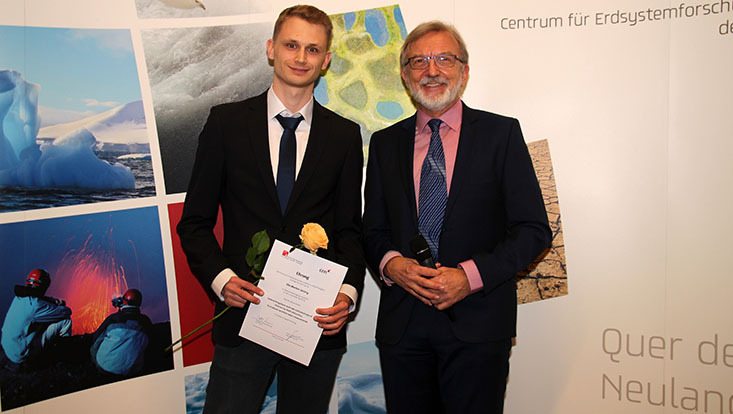 CEN PhD graduates with Prof. Kehr. 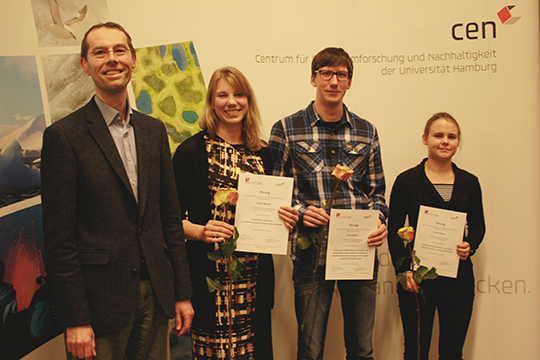 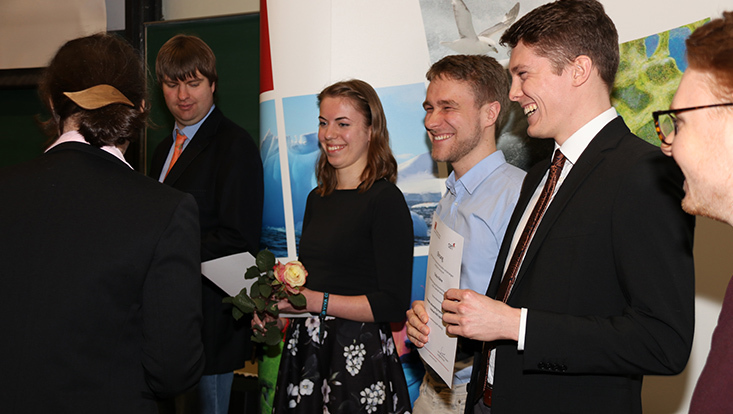 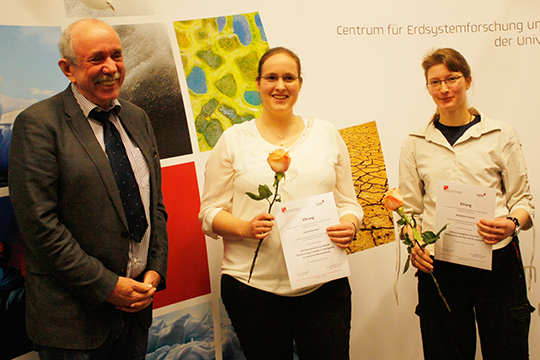 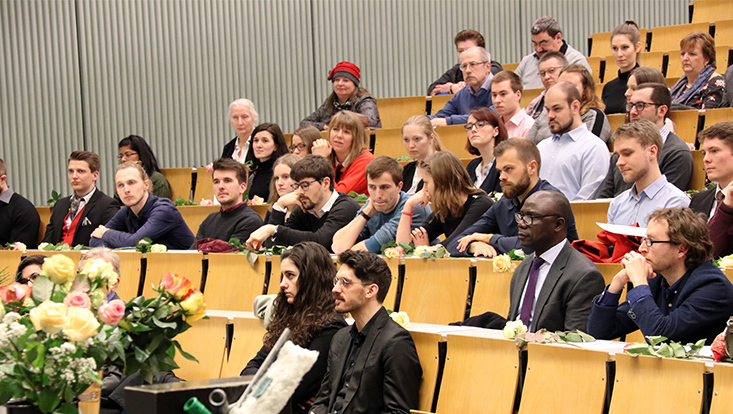 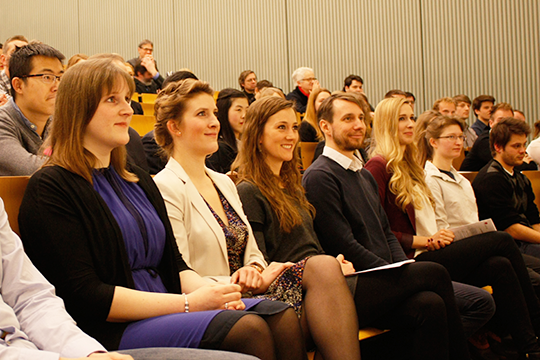 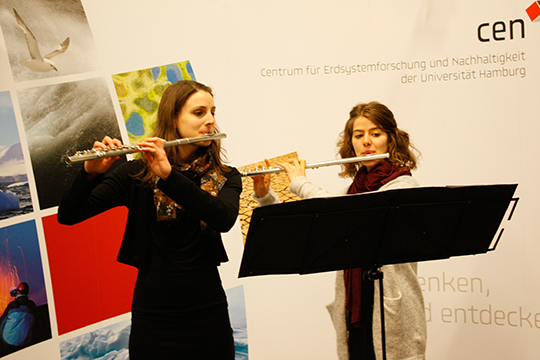 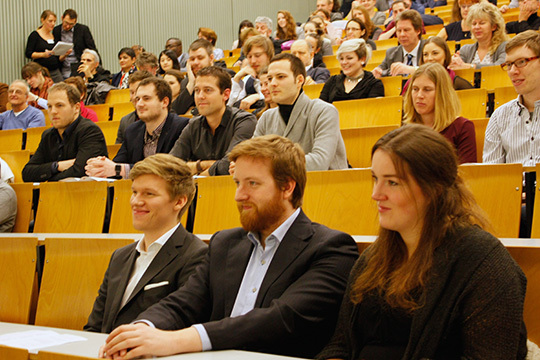 Two flutists from the Music Academie of Universität Hamburg accompanied the ceremony. 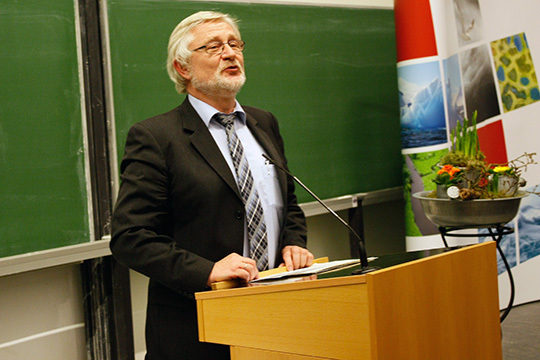 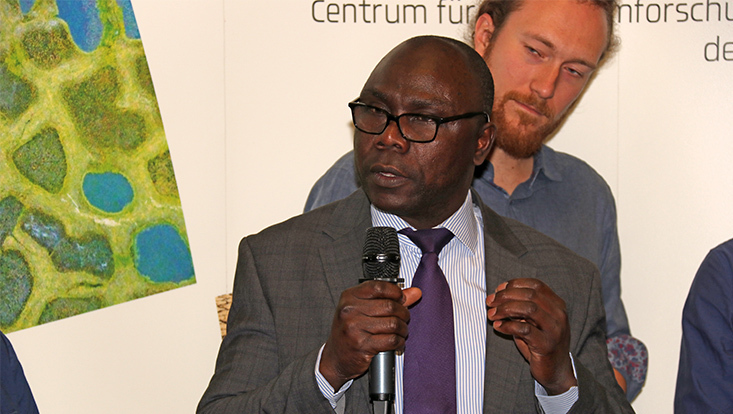 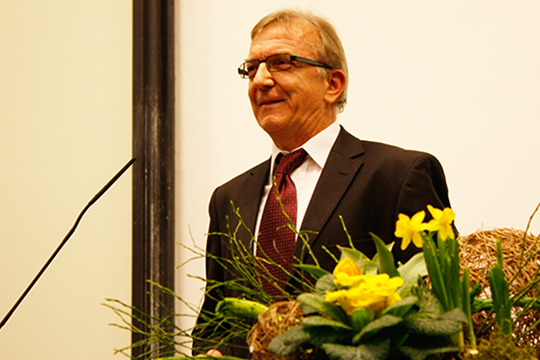 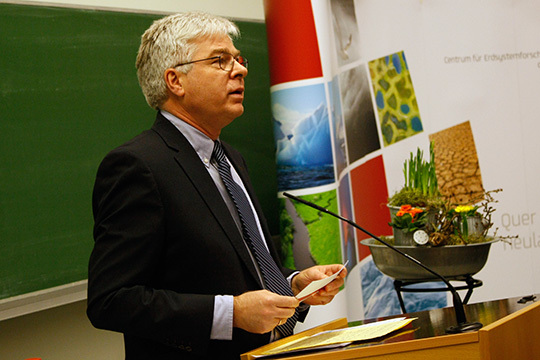 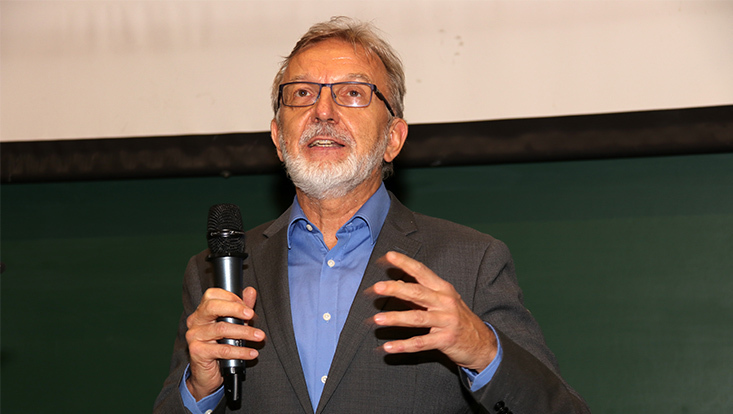 Prof. Stammer opened the event.